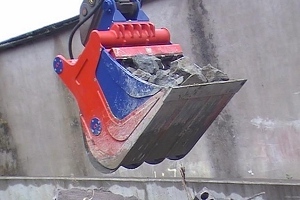 Excavator Multi-Bucket | Crushing Buckets | Excavator Crushing Bucket - Value Tech Ltd.
Value Tech offer a range of specially designed excavator buckets with multi -purpose functionality including DIGGING, PULVERISING and CRUSHING many types of construction and demolition waste materials. 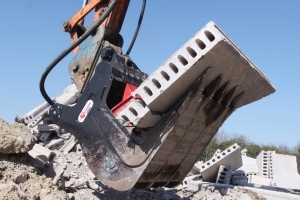 Very powerful with multi-purpose capabilities of excavating, pulverizing and crushing most types of construction and demolition waste materials. 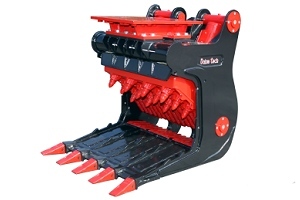 Simple operating mechanism, low maintenance, suitable for hire outlets. Lightweight (when compared to competitor products) easily transported to site locations. 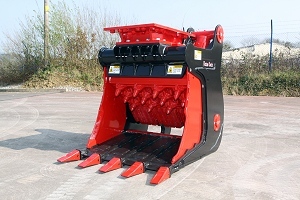 The Value Tech Multi-Bucket is available in four sizes and can be used on excavators ranging in size from 8 tons to 35 tons. 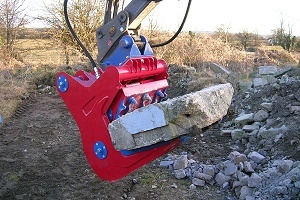 The Value Tech Multi-Bucket is an essential attachment for all companies involved in on site construction, demolition and soil remediation works.